If the thought of driving a Vauxhall Senator only brings to mind that music from ITV's The Bill, then you've probably not driven one. These cars have to be one of the most under-rated vehicles on the used market and good late ones still fetch strong money. Vauxhall's biggest car was never a huge seller, though its smaller-engined relation, the Carlton, enjoyed more success. In its seven-year lifetime, just over 30,000 examples of the second generation Senator were sold, so used examples are not exactly thick on the ground nowadays. But they're well worth seeking out for their effortless cruising ability and high luxury feature count. 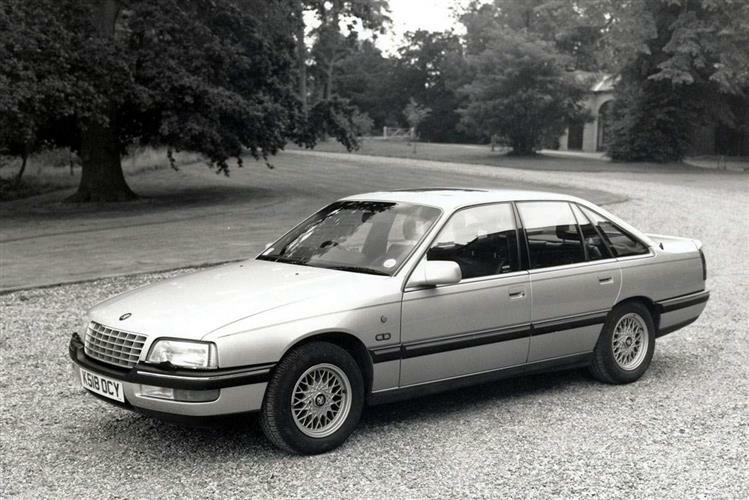 The second generation Senator was only ever available as a four-door saloon and served as Vauxhall's flagship, replacing a model of the same name in September 1987. First models to be launched were the 2.5 and 3.0-litre versions. These were called Senator 2.5, Senator 3.0 and Senator 3.0 CDi. A 24-valve version of the 3.0-litre engine arrived in September 1989 and this car (badged 24v CD) remained as the top model until the end of Senator production. 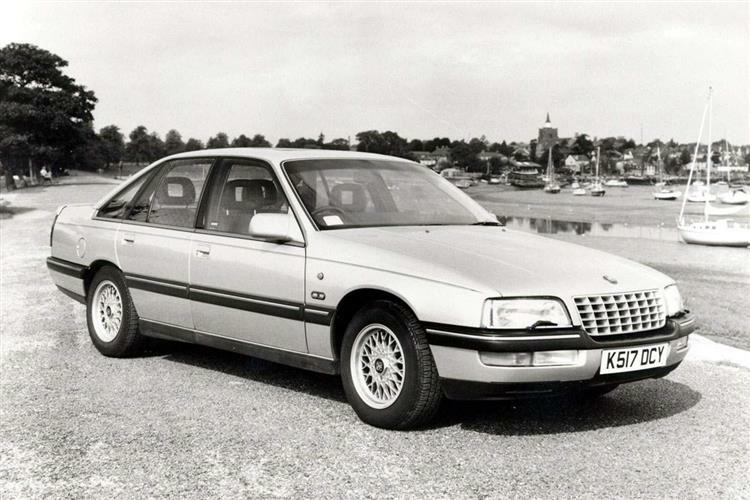 A 2.6-litre engine replaced the Senator 2.5 in September 1990 and a CD version of the same car then superseded the original 2.6-litre (standard-spec) model in October 1992 until the range's replacement by the Omega Elite in 1994. Lots and lots of standard equipment, superb handling and roadholding, a car that doesn't look half as fast as it is and an absolute bargain that looks set to hold its value. Even the basic 2.6 has automatic transmission, anti-lock brakes were standard on all models from October 1988 and many 3.0-litre cars have air conditioning. The 24-valve cars have leather upholstery as well, though some may have cloth seats specified instead (it was a no-cost option). This was the car we used to see (and occasionally still do) ploughing up and down the motorways with blue lights flashing. If the police can't break a car, then no-one can; the Senator was a favourite with The Law for its fine handling, excellent acceleration, roomy interior and long-life engines and gearboxes that gave little trouble day to day. Ex-police Senators are also sought after as used buys, despite moonshot mileages, because they are so well maintained. One problem your Senator may have is sticking rear electric windows. Don't forget to check the rest of the electrics either, as there is a lot of equipment in these cars and fiddly electrical problems can be expensive to put right. Avoid the digital-dashboard models as the unit is none-too reliable and a replacement display is about £300. The engines and gearboxes are very tough and cope well with high mileage, so don't be turned off a car with lots of motorway miles under its bonnet. Check for as much service history as possible. The cars are all well protected against corrosion but nevertheless, check all the obvious areas, like bonnet leading edge, boot and the lower doors. (Based on a 1994 3.0-litre 24v) A new clutch will cost you about £70 and a full exhaust system around £450. Front brake pads are about £16 a pair and rears around £13. An alternator is about £155 and a starter motor is around £70. A radiator is about £160 whilst a front headlamp is about £285. This is where a Senator really shines. Your passengers will be impressed by the well-appointed interior, but the engine's acceleration and the chassis' roadholding and handling are also likely to surprise many. This is not "just a Vauxhall" as many other luxury car owners think; it is in fact a luxury Opel designed and built performance car that can still give contemporary BMWs a run for their money. Remember that the Senator was intended for speed limit-free autobahns and demanding drivers and you'll understand why it was engineered to such high standards. If you find a reasonably priced 3.0-litre and your budget can cope with the higher fuel consumption compared with a 2.5 or 2.6, then snap it up. These cars have value for money written all over them and chances are your car will still be worth much of what you paid for it in years to come.